Came across yet another old coat in my basement. This was my mom's old blazer and its a long blazer which I love! 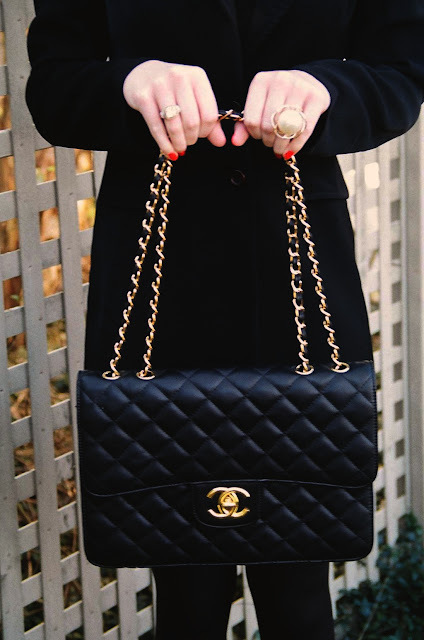 Decided it was necessary to pair it with my big Chanel bag! Oooooh! 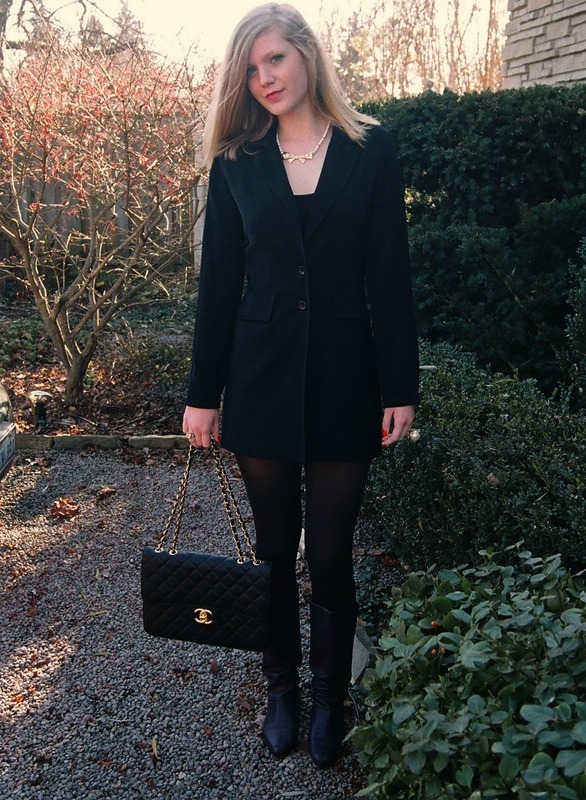 I've been looking for a basic black blazer like this for work. Thanks! !